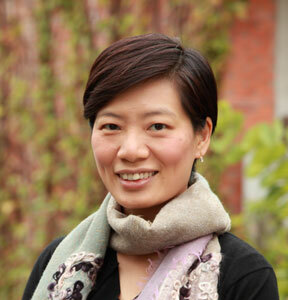 Ms. Jenny Chan is a Registered Clinical Psychologist of the Hong Kong Psychology Society. She obtained a MSc in Clinical Psychology from The Chinese University of Hong Kong. She has many years of experience working in the Social Welfare Department and psychiatric rehabilitation institution. She was an Honorary Clinical Supervisor of the Department of Psychology of The University of Hong Kong and The Chinese University of Hong Kong. She has worked extensively with children, adolescents, adults and families. She is specialized in offering psychological assessment and treatment services for people suffering from depression, anxiety, trauma, adjustment difficulties and parent-child relational problems. Since 2007, Jenny started practicing mindfulness of Plum Village tradition founded by Zen Master Thich Nhat Hanh. She started teaching mindfulness to children and adults since 2009 and organizing a mindfulness practice group for healthcare and social services professionals since 2012. Moreover, she has completed the first Mindfulness Teachers Training Program of Plum Village Mindfulness Academy in 2015. In 2015, she assisted Plum Village to establish the first independent social services organization “Breathe and Smile Mindbody Wellbeing Center” to promote the art of mindful living and art of healing. In 2016, she has designed and developed 8-session Mindfulness Born Peace and Happiness (MBPH) Program to help people embrace the art of mindful living. Clinically, she is passionate in integrating mindfulness practice with psychotherapeutic approaches to enhance treatment effectiveness. She is also active in developing clinically effective mindfulness treatment protocols for different groups. Professionally, she is experienced in offering mindfulness training to healthcare, social services and education professionals to apply and deepen their mindfulness practice in both personal and professional lives. Socially, she is enthusiastic in sharing the benefits of mindfulness practice to those who are deprived and in need (e.g., underprivileged children and teenagers, and people with mental illnesses and chronic illnesses). Before becoming a clinical psychologist, Jenny has gained extensive management and executive training experience from her past career in major corporations (e.g., AT&T, PCCW) and business schools (Kellogg, HKUST). Hence, she is keen to help improving organizational wellbeing of corporations by sharing the art of mindful living with business leaders and executives.